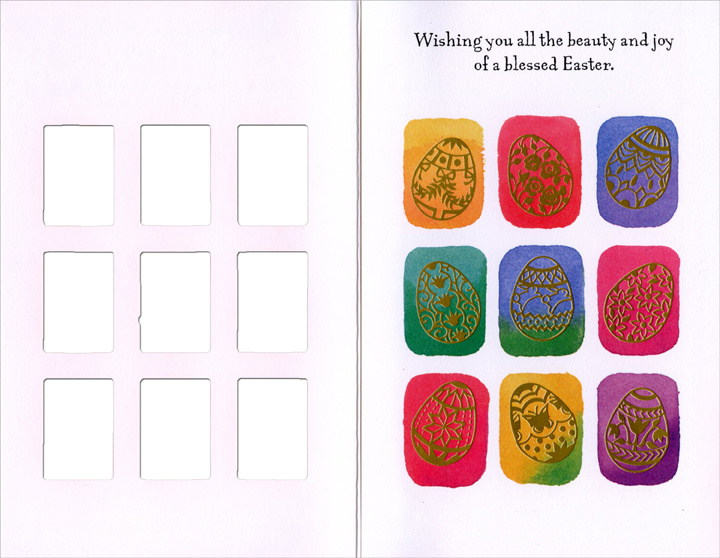 This Easter card features nine die cut windows that allow the interior artwork to be seen while the card is closed. 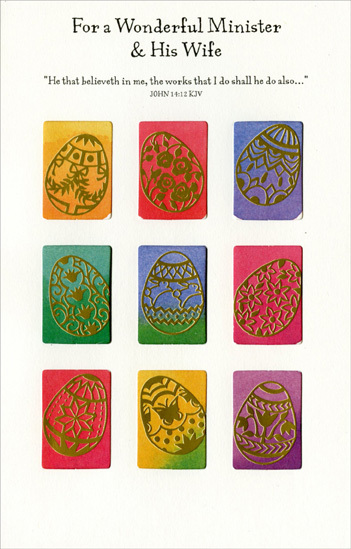 Gold foil is used in the Easter egg artwork. Made in the USA. Printed on Recycled Paper.